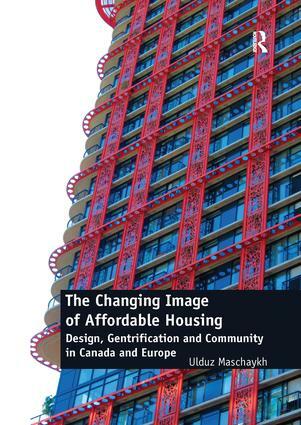 Illustrated by a range of case studies of affordable housing options in Canada, this book examines the liveability and affordability of twenty-first-century residential architecture. Focussing on the architects’ and communities’ commitment to these housing programmes, as well as that of the private building sector, it stresses the importance of the context of the neighbourhoods in which they are placed, which are either in the process of urban transition or already gentrified. In doing so, the book shows how, and to what extent, twenty-first-century dwelling architecture developments can help to create an integrated sense of community, diminish social and demographic exclusions in a neighbourhood and incorporate people’s desires as to what their buildings should look like. This book shows that there are significant architectural projects that help to meet the needs and desires of low- to middle-income households as well as homeowners, and that gentrification does not necessarily lead to the displacement of low-income families and singles if housing policies such as those highlighted in this book are put into place. Moreover, the migration of the middle class can result in a healthy mix of classes out of which everyone can enjoy a peaceful and habitable coexistence. Ulduz Maschaykh is an art/urban historian with an interest in architecture, design and the impact of cities on people’s lives. Through her international studies in Bonn (Germany), Vancouver (Canada) and Auckland (New Zealand) she has gained a diverse and intercultural understanding of cultures and cities. In September 2013Dr Maschaykh completed her PhD in Art and Architecture History at the University of Bonn in collaboration with the University of British Columbia, Vancouver. She is currently a postdoctoral research fellow at the research network 'Collaboratory for Research on Urban Neighbourhoods, Community Health and Housing' (CRUNCH) at McMaster University. Her research focuses on the architectural semiotics of cities in regard to affordability, scarcity and urban branding strategies reflected in the architectural language.